This post comes to us straight from Sri Lanka courtesy of our guest writer, Lali Devamanthri. 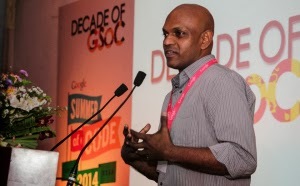 The Google Open Source Programs team recently held an event at The University of Moratuwa in Sri Lanka - a university which has had the most Google Summer of Code students for an impressive 7 years in a row. Read more about the event below. Google Summer of Code, a program that pumps new blood into the open source world, is celebrating its 10th instance this year. Behind-the-curtain faces who initiate this unique program have been visiting the countries with strong participation numbers in the program. As a result, a team from Google’s Open Source Programs Office visited University of Moratuwa in Sri Lanka on January 23, 2014. Since the program’s inception, 203 students from University of Moratuwa have participated, making it the highest number of students from a single university in the world. In total, there have been 265 students selected for the program over the last 9 years from all over Sri Lanka. Over 320 people attended the event including past participants and mentors, open source luminaries, and prospective students. The event started by Kandyan dancers leading the way into the auditorium followed by the lighting of the traditional oil lamp. After a warm welcome to all the invitees, the chief guest of the occasion, Hon. Vice Chancellor prof Ananda Jayawardena from University of Moratuwa spoke about the impact of open source software and how GSoC has worked as a driving force in the past several years. The Hon. VC also thanked all GSoC participants for bringing prestige to the University of Moratuwa. Chris DiBona, Director of Social Impact and Open Source at Google, then spoke about how Google Summer of Code started, and expressed his excitement at the high participation rate from a small country like Sri Lanka. He concluded his talk with ideas about how to influence the younger generation to start participating in open source development. Two other Googlers from the Open Source team, Stephanie Taylor and Mary Radomile, talked about the steps involved in applying to this year’s program and the “10 things” GSoC initiative and described how the program will be enhanced to celebrate a decade of GSoC. One of these enhancements includes a 10% raise in the student stipend to 5500 USD! Google Code-in (GCI), an open source coding contest for 13-17 year old students, was also introduced to the audience. As the final invited guest speaker, Dr. Sanjiva Weerawarana spoke to the audience about the history of IT challenges in Sri Lanka and how open source communities have taken on a major role in solving them. He reminded GSoC participants to carry on contributing to the open source community past the end of the program and into their everyday lives. The event concluded with the exchange of gifts, including a plaque presented by Google to the University of Moratuwa celebrating it’s exceptional participation rates in Google Summer of Code these past nine years. Guests were also treated to modern Raga music, local cultural entertainment, refreshments, and informal discussion between guests and students. The event successfully raised the awareness of GSoC and open source development. 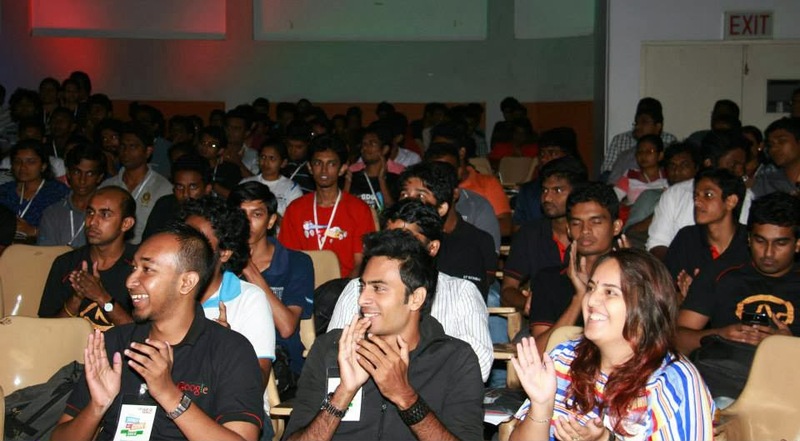 Attendees were highly motivated by the event and I’m sure there will be more and more Sri Lankan faces in both Google Summer of Code and Google Code-in in the years to come!